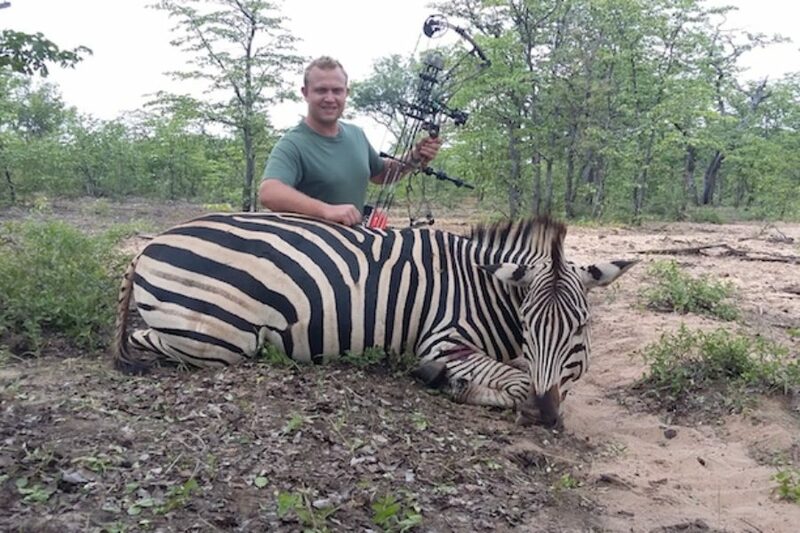 Synonymous to Africa, the zebra was high on Beth’s list of animals to pursue. Each and every time we returned to camp, Peter Johnstone would greet us and reiterate that one can’t pursue eland with such a crowd of spectators. 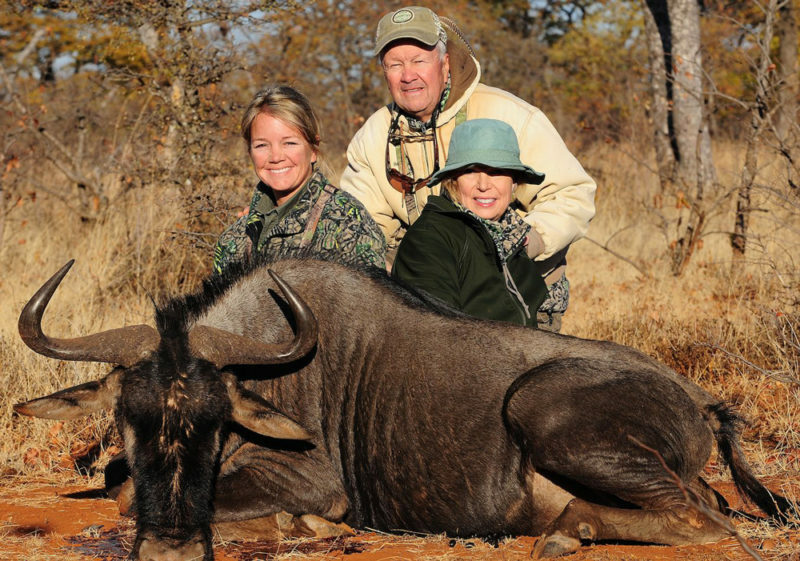 But nothing could stop Jan and I from enjoying our daughter’s pursuit of Africa’s largest antelope. Cognizant of this animal’s keen sense of awareness, our PH Brent Hein would stagger our group in a line while he, Beth and his best tracker William would take point. Standing five feet at the shoulder and weighing close to a ton, one would think these behemoths would stand out like a diamond in a coal pile, but that is not the case. Their tan coats blend into the thorn growth like an early morning fog, dispersing with the slightest hint of danger. And unlike buffalo, they don’t believe in a midday nap, nor do they look at you like you owe them money. They explode toward safety and run for miles, only to pause as if they were on egg shells. Spooring Africa’s largest antelope is as close to pursuing ‘black death’ as one can get, if not more challenging. Africa was a place my daughter had only heard about from memories Jan and I shared about our safaris in Zimbabwe, Zambia and Tanzania. There I was privileged to take nine buffalo, a magnificent leopard, and a plethora of plains game. 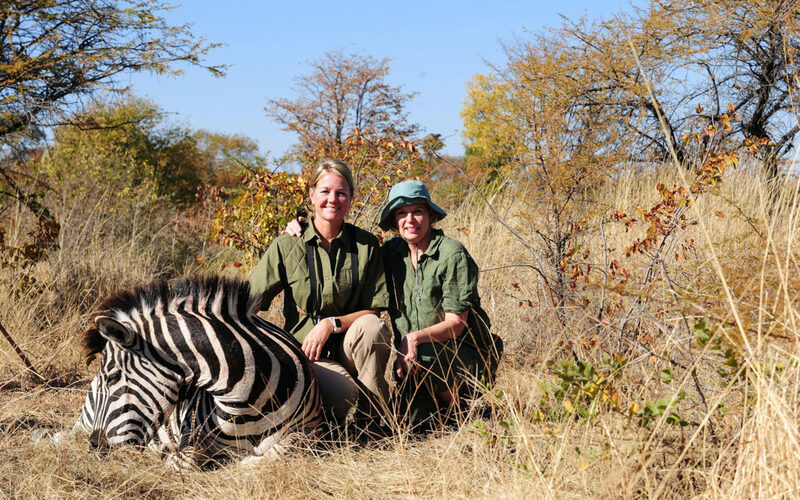 But in July of 2018 her dream came to fruition as she accompanied us to Bulawayo, then north to the Cawston Block, owned by one of the founding fathers of game ranching in Zimbabwe, Peter Johnstone. With unmasked enthusiasm, Beth accompanied Brent and William on several stalks the first evening for Africa’s iconic striped species, the zebra, but came out second. By dark we had seen 70 impala, 33 wildebeest, 16 sable, 22 zebra, 16 giraffe, eight kudu, five bushbuck, one eland, and a single black-backed jackal – a reflection of sound wildlife management and Johnstone’s lifetime effort to sustain it. The diversely rich fauna along with a loquacious bushbaby residing at camp didn’t do much to help Beth sleep that first night. Daylight couldn’t arrive swiftly enough for Beth on the first morning. Exiting camp, a slight chill in the air greeted us as bushbuck and warthogs fed, undisturbed by the clanking sound of Africa’s ubiquitous transport, the Land Cruiser. Distant to camp, a herd of seven zebra were spotted, and Brent, Beth and William immediately bailed out of the vehicle, sticks in tow. Enjoying an exceptional view from atop the rig, I filmed the trio carefully negotiating the thorn scrub, gilded by the warm morning sun. It felt like eternity before the sticks were up and Beth positioned her 7mm on Africa’s version of a tripod. The report of Beth’s rifle shattered the placid morning, and the herd erupted into a gallop, leaving only a contrail of dust in their wake. Immediately Jan and I dashed into the sea of acacia followed by tracker Reggie bearing a .375. But all our anxiety dissipated once we saw the beaming smile of our daughter holding her first African equid. Following a series of photos, the 800-lb. animal was winched into the cruiser and we headed back to the skinning shed. 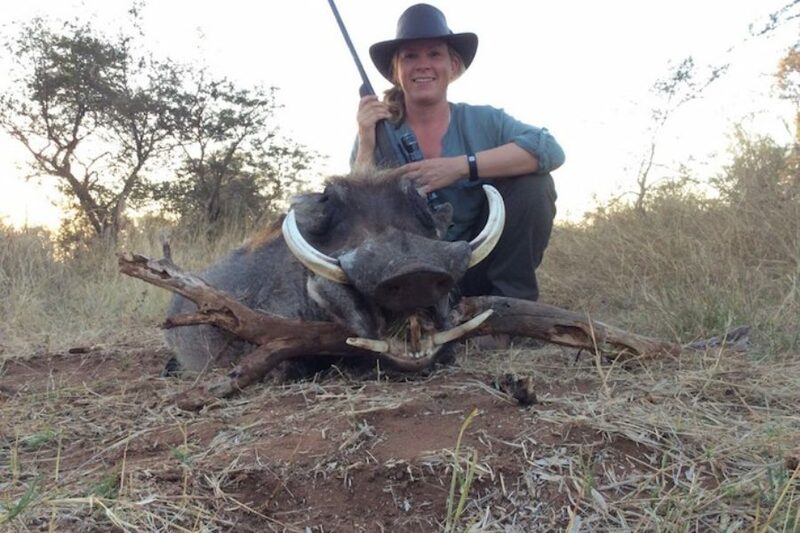 By dark Beth had experienced several stalks on impala and a couple of long-tusked warthogs. 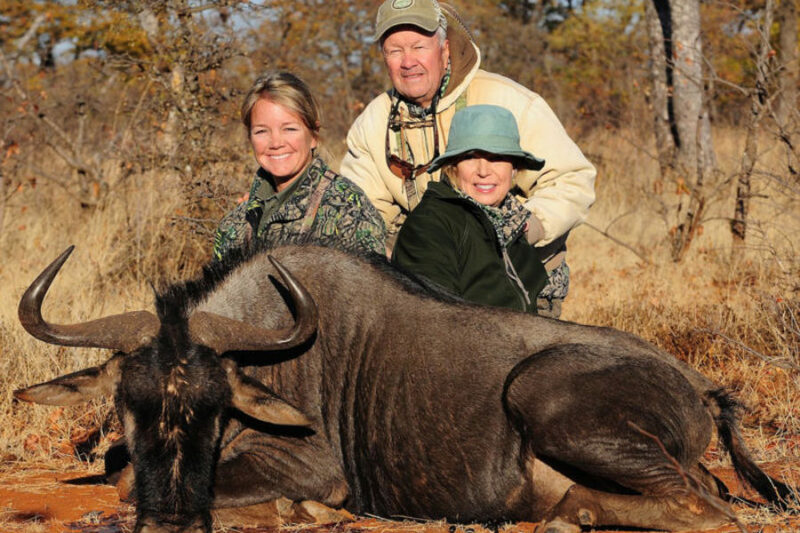 Jan and I could not have been happier as Beth made a great shot on one of the most awkwardly put together yet beautiful animals of the Lowveld a wildebeest. A wildebeest along with a beautiful impala fell to well-placed shots on the second morning, and by dark she had pummeled an old bull giraffe and a 13-inch warthog. The girl was on a roll, and we hadn’t even spied our first eland yet. Entering a teakwood forest on the third morning, William spotted the tracks of three bull eland impregnated in the deep sugar-like, tan-colored sand on the single-track trail we traversed. Tall mukwa trees with tea-plate-sized samara elevated above the teak wood and succulent cacti-like euphorbia were scattered throughout the forested environment, insulating us from the warmer, late morning temperature. The understory was inundated by knobthorn regrowth with flesh-ripping claws along with a maze of giant resin providing excellent escape cover for the bulls. It was also a niche for pepper ticks aggressively searching for a host, primarily human. We slowly and methodically tracked the animals for two hours before they erupted in a mad dash, precluding any chance of catching up to them. 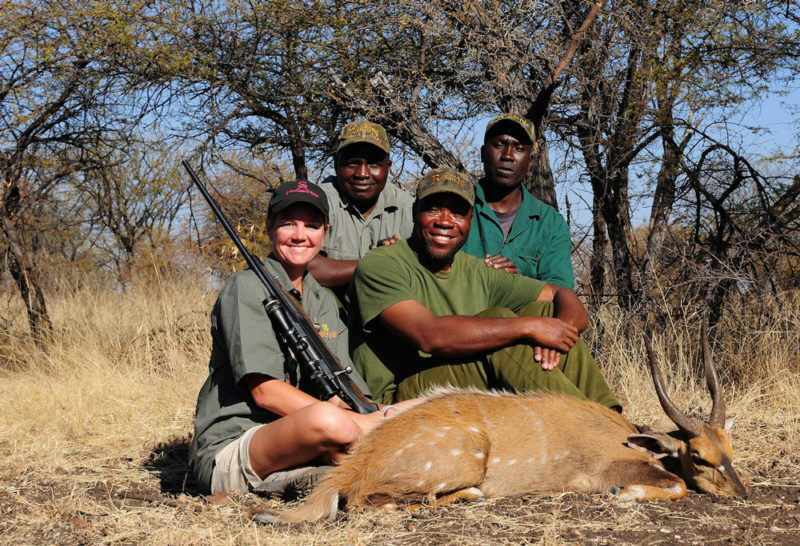 It was only a matter of time before Beth took a bushbuck, one of Africa’s true jewels. The entire fourth morning was spent following several bull eland, but we failed to catch up to them. However, nothing could dampen Beth’s enthusiasm as she simply was in awe of the abundance and diversity of wildlife she saw continually throughout the day. 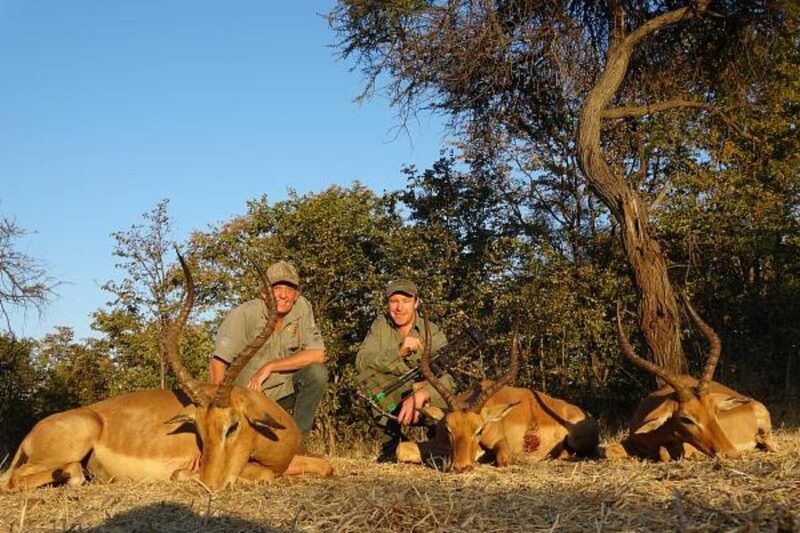 Early in the afternoon we came upon a magnificent bushbuck, and following a short stalk and single shot, Beth collected one of the most beautiful horizontally striped denizens of the veld. 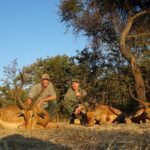 The following day, our fifth, we once again spotted sign of eland at an ecotone where the forest melted into the veld with acacia mottes scattered throughout the area. With increased visibility we slowly followed the trackers as they methodically figured out the trail. Occasionally making wide circles like bird dogs to verify the group’s course, while Beth continually maneuvered up, down, sometimes sideways, hoping to catch a glimpse of the beasts, demonstrating her intense desire to participate in the exhilarating event. Africa’s largest member of the antelope family was a challenge, but the eland was a dream-come-true for Beth. After pursuing the animals’ tracks for close to an hour, Beth spotted a bull standing in the shade of a clump of tall acacia, and with a distinct click of her fingers to get Brent’s attention, the sticks were up and her rifle was anchored. At 80 yards, with only the animal’s neck exposed, she carefully aimed and squeezed the trigger. In all the excitement I never heard the shot, but through my binoculars, I saw the huge animal drop, but remain kicking and thrashing about, generating a substantial cloud of dust. 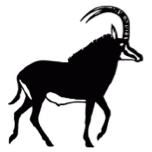 A mad dash was made to the downed animal to ensure that it remained down, completing what Beth considered her ultimate prize—a one ton, spiral-horned bull eland. An extended tight hug and an extremely excited thank you from our daughter verified the thrill she had just been privileged to enjoy. I spent the last few days filming near water holes while Beth and Jan remained with Brent, scatter gunning a variety of fowl, including the challenging sand grouse, all of which turned into exquisite table fare. The sighting of an extremely rare serval cat was an incredible way of wrapping up an amazing African adventure Beth, Jan, and I will never forget.